In the 2014 production of Giuseppe Verdi’s “La Traviata,” Elizabeth Futral as Violetta arrived at a party in a vintage automobile. At the beginning of the horror/ghost story The Woman in Black, which has been running in London’s West End for nearly 30 years, a man wanders onto a dimly lit stage, holding a script and mumbling. Does he even belong there? The “big entrance” more commonly might be made with confidence, under strong lighting. Theater actors’ and opera singers’ entrances— and exits, as well—help convey the essence of their characters. Entrances and exits by orchestral performers substitute for the rise and fall of a curtain. In The Woman in Black, “the whole theater is the set—you never know where the next entrance is,” Herford says. This aids in the telling of a suspenseful ghost tale. And the apparition-like title character? Well, we’re not going to spoil the up-the-horror aspects of her appearances. L.A. Opera has staged some memorable entrances: Patti LuPone, as over-the-top Turkish singer Samira, first appeared in 2015’s The Ghosts of Versailles riding a mechanical pink elephant. 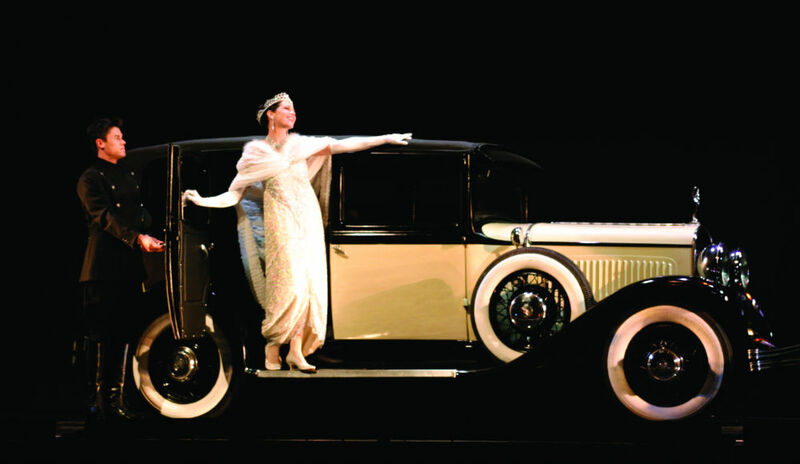 In the company’s 2014 Art Deco/Roaring ’20s setting of La Traviata, Elizabeth Futral as Violetta arrived at a party in an actual vintage automobile. Herford and Muller confer early with their set designers to get an idea of how entrances and exits can work physically. With orchestral performances, stage arrivals have become ritualized: the ensemble players enter first, followed by any soloists, then the conductor. Herford, who also acts, brings that sensibility to both performing and directing.